Jake Lassiter doesn’t know much about art, but what he knows can get him killed. Jake’s used to clients who lie – but it’s usually to deny their guilt. When his old friend Francisco Crespo admits to brutally killing a fellow warehouse worker with a forklift truck, Jake is suspicious. With medical evidence suggesting that Crespo was unconscious at the time of the Russian worker’s death, why is Crespo saying he did it? Refusing to accept Crespo’s improbable guilty plea, Jake embarks on a quest for the truth that takes him to Havana in search of priceless Fabergé eggs and an international theft ring that involves the CIA, Fidel Castro and the Russian Government. 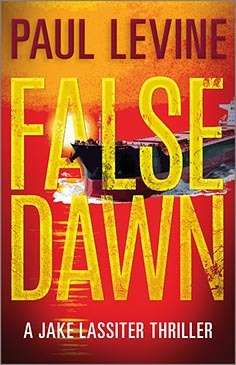 Soon realizing that nothing is as it seems, the ex-Miami Dolphins linebacker has a lot to contend with in this gritty thriller that sees him taking on a dangerous international conspiracy.